Social media has changed the way we watch tennis. Whether good, bad or embarrassing, we see it all and share it. Host Mayleen Ramey continues our year end countdown by taking a look back at the moments in tennis that took the internet by storm. Starting things off at number 10 is Genie Bouchard. 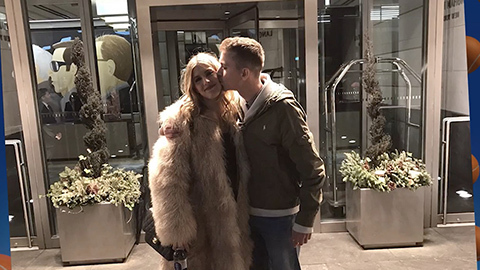 After live tweeting the Super Bowl transformed into a real life date, Genie made good on her bet and granted a fan’s special wish. What started as a night out at a basketball game blossomed into a lasting friendship as the two have been spotted on multiple dates since. No one is happier than tennis fan Matthew Leonard who got to see his hero Roger Federer play for the first time. Seated court side in Miami, Matthew Leonard was overcome with emotions at the sight of the tennis legend and gave us this perfect moment of pure joy. Coming in at number 8, our next viral moment has moves like Bucie. 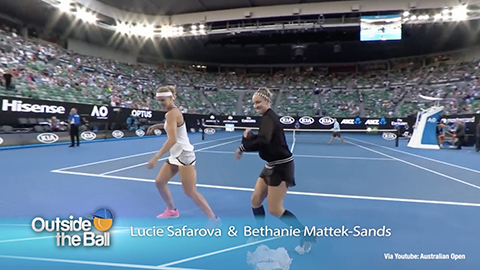 After taking the Australian Open title, Bethanie Mattek Sands and Lucie Safarova showed off their fancy footwork with a victory dance choreographed by Shaun T. The duo danced their way throughout 2017 and made all of us want to get up and bust a move. 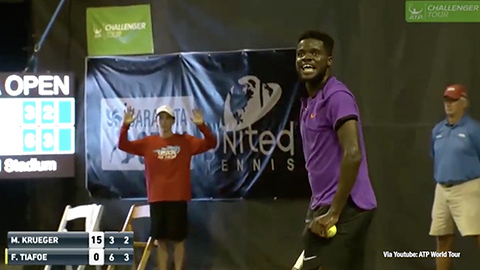 The party doesn’t start until Frances Tiafoe walks in! The Next Gen star is no stranger to capturing the spotlight and he crashed one of our interviews with Bethanie Mattek Sands and Lucie Safarova to share in the love and the laughter. This time Frances was in for a surprise when he was playing a match in Sarasota. Disruptions during match happen from time to time but this moment was unlike any other. Whoever said love means nothing in tennis was loudly mistaken. Things get a little looney in number 5 as we discovered Rafa Nadal has a doppelganger. Australian comedian Elliot Loney captured the hearts and funny bones of tennis fans worldwide with his impressions of Rafa Nadal. Even Bernard Tomic couldn’t stay away and made a cameo in one of the videos. The WME/IMG Style Suite had us seeing stars and we got lots of love from our party guests. Hosted by Outside the Ball and Mayleen Ramey, WTA tennis stars got a glamorous makeover before the Pre-Wimbledon party and let their hair down in a fun interactive photo booth. When it comes to having famous friends, Juan Martin del Potro takes the cake or in this case, the hammer. Thor actor Chris Hemsworth surprised tennis fans with a special message to del Potro as he competed in the US Open. Hemsworth was kind enough to let the Argentine use his famous hammer to knock out his competition, but he’d be needing it back soon. Saving the world is no easy task! There was a lot of buzz around US Open Champion Sloane Stephens this year but nothing as funny as this. 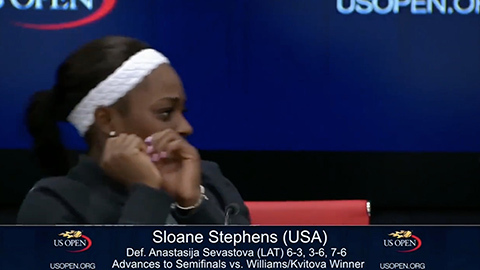 During a press conference Sloane Stephens had an unwanted guest in the form of a fly that took a liking to the tennis star. Our number 1 viral moment of 2017 goes out to the ATP players who banded together to make beautiful music. Grigor Dimitrov, Tommy Haas, and Roger Federer serenaded us with sweet vocals and killer backhands. 2017 is coming to a close and so is our year end countdown. Relive the greatest moments 2017 had to offer and let us know which moment was your favorite. You can watch part one of our countdown show here and make sure to subscribe to our Youtube Channel so you don’t miss a single moment of 2018!